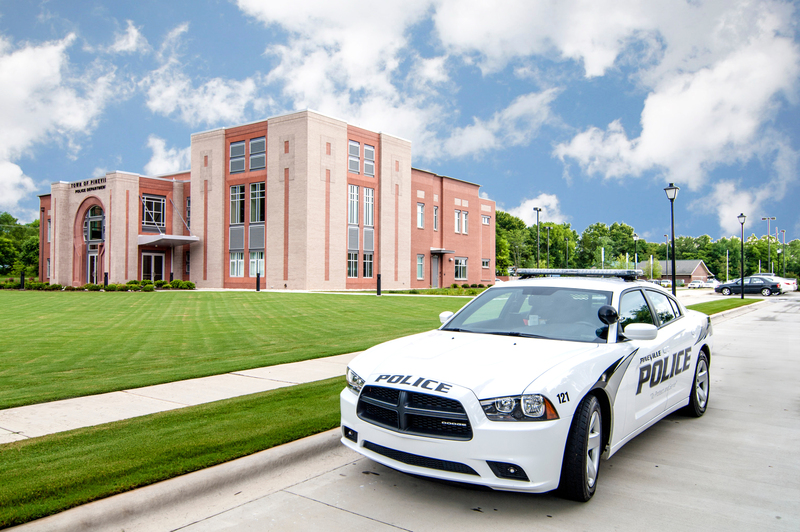 The new Town of Pineville Police Department Headquarters replaces the existing facility. This new 25,000 SF building was designed via a team approach including input from the Police, the citizens, and the Town Council. 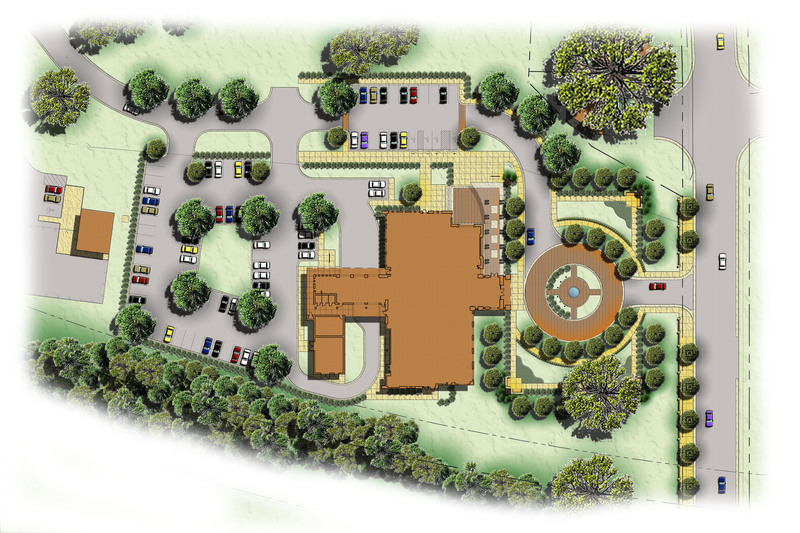 Fryday & Doyne completed a town master facilities plan which sited the building on an already town owned parcel. Fryday & Doyne (with the town), planned, designed, detailed, bid, permitted, and handled construction administration for the project. 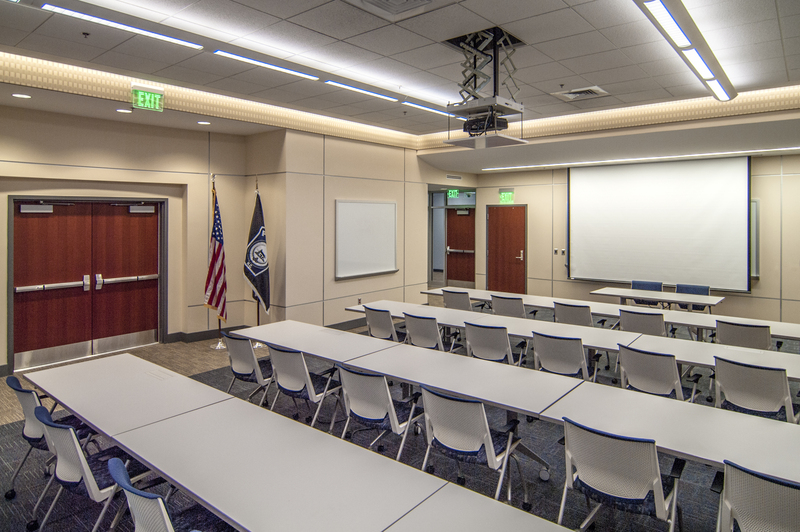 The facility contains all Police functions including: office spaces, break/kitchen areas, storage, interview and processing areas, a 911 Call Center, and a conference center (used by both the police and the community). 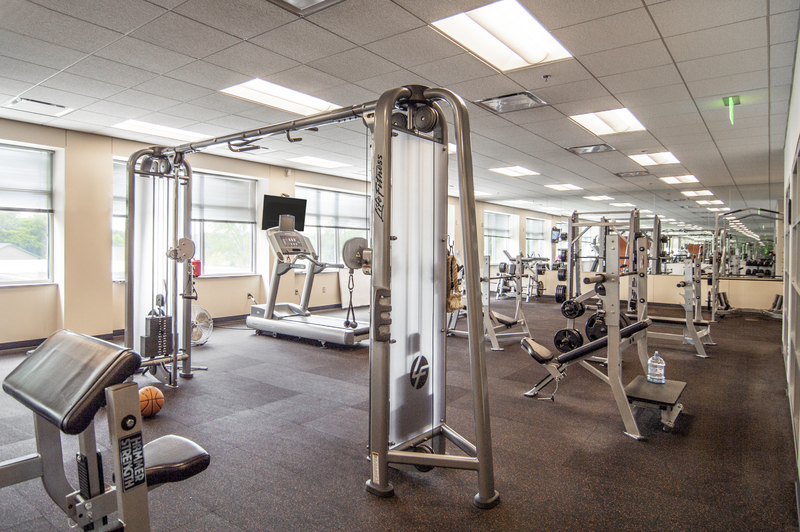 It includes fitness facilities for the police containing free weights, machines, cardio workout areas, full locker/shower facilities. Finally, behind the primary facility is a separate maintenance storage facility for the redesigned Town of Pineville Police vehicles.